Full-size adult manikin with movable joints as well as soft fingers and toes for training of important basic nursing skills such as hair care exercises and surgical draping, bathing and bandaging, ophthalmic exercises, Ear irrigation and application of optic drops, I.M. injection (arm and buttock). The legs can be removed for compact storage. Supplied with neck brace. 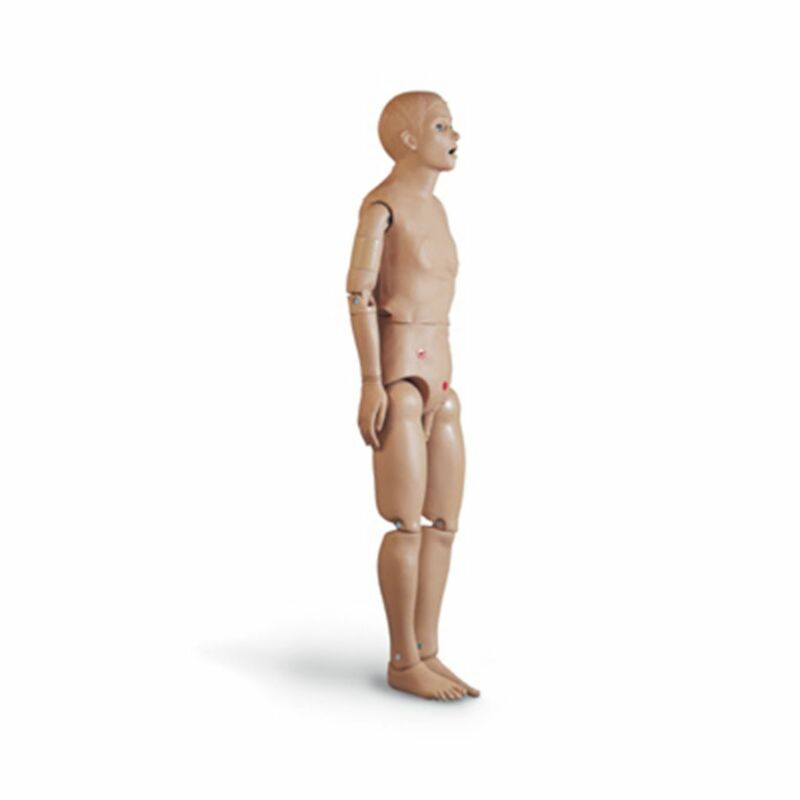 (Manikin does not have enema and catheterization capabilities).